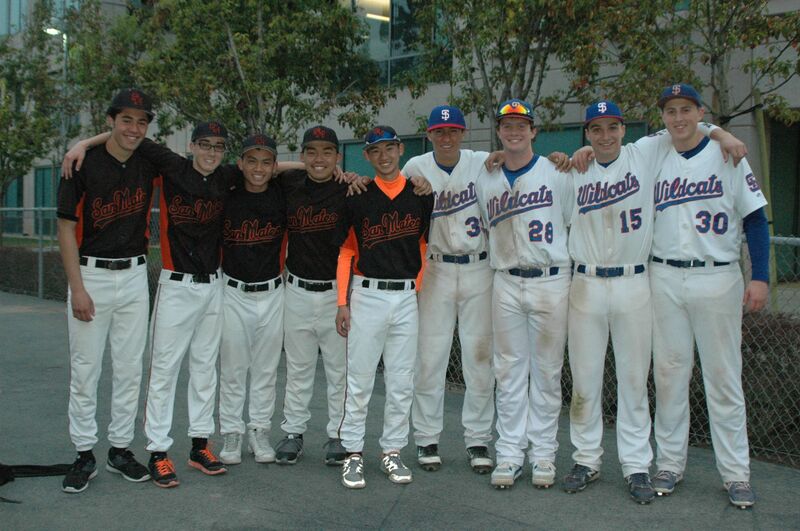 After an early season scrimmage between Hillsdale and San Mateo High, former players from Foster City Little League pose for photos. 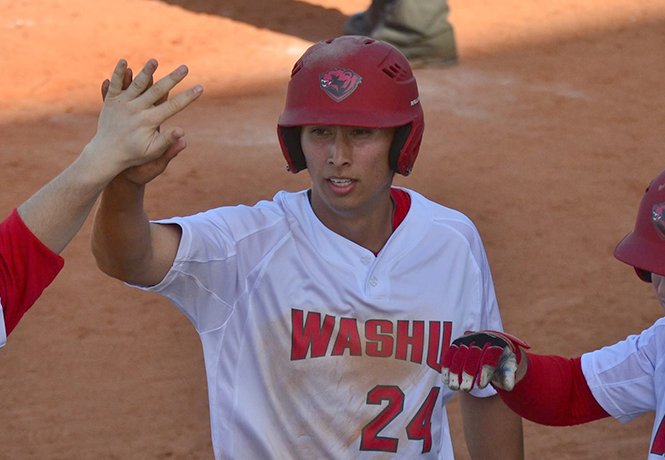 Pictured from left to right - Jeremy Chong (11), Will Garratt (11), Jack Mihalek (12), Sam Freeman (11), Drew Aspillera (10), Shane Stewart (11), Sean Tanap (11), Jack Warren (11), Tommy Ozawa (11), Jaxon Skidmore (12), Jacob Selph (12), Antonio Rojas (10). 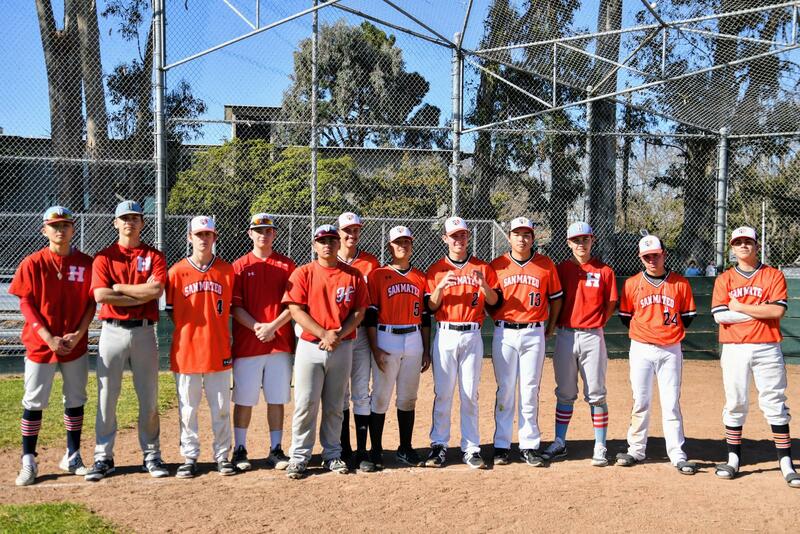 12 of the 15 team members were Foster City Little League Alumni. 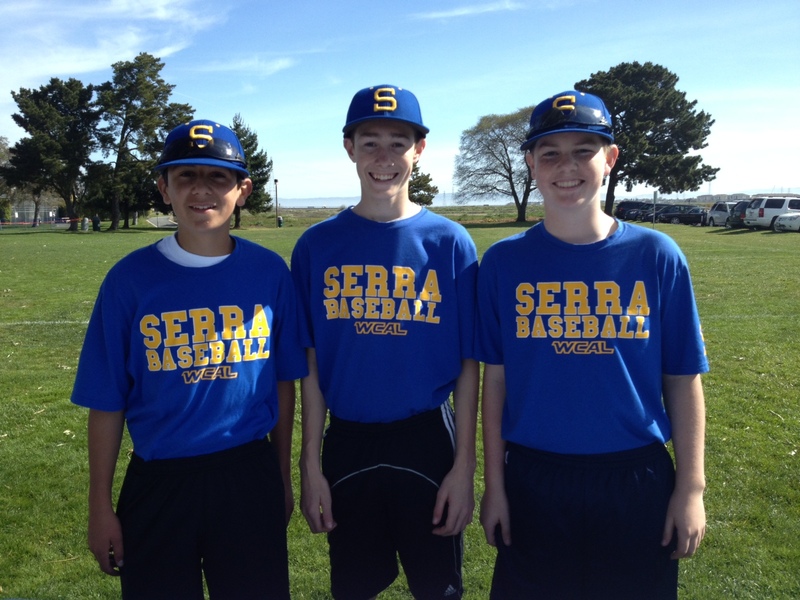 Kyle R., Ryan C. & Ryan F.